The September posts include the third Analysis in which Bishop Tom Wright's latest views on justification are discussed. In it I discuss his charges that the Reformed doctrine of the imputed righteousness of Christ is 'legalistic' and that it fails to brake free of medieval Augustinianism, since it involves the transfer of 'moral righteousness', and is thus a variant of the medieval idea of the transfusion of grace. If the first charge sticks, then Wright must also plead guilty to 'legalism' (whatever exactly that is), and the second charge is based either upon misunderstanding or (as the lawyers say) on bad drafting. Those who follow the offerings of Helm's Deep may also be interested in a review of Charles Partee's new book on Calvin, and in a short piece on what is usually called 'Definite Atonement'. In the third Analysis on Bishop Tom Wright’s new book on justification we shall be considering his ideas about the imputation of righteousness. As we have seen, by now Wright’s account of justification commits him to the following: to substitution, and to imputation. (194, 196) Christ acts as our substitute, and justification involves imputation, but the idea of the imputation of Christ’s righteousness continues to be ruled out and even to be ridiculed by the Bishop. According to him, what is allegedly imputed according to the Reformed view of the imputation of Christ’s righteousness is his moral righteousness . Wright takes this to be a reference to a subjective moral state. Repeat, He takes this to be the reckoning to the believer of a new subjective state, Christ’s subjective state, which through imputation is now possessed by the believer. He thinks that the oddity of such a view is another reason why it must be rejected. Note, this rejection has little or nothing to do with the exegesis of Paul. It is not that Wright alone knows what St. Paul really said and everyone else in history has misheard. He is perfectly content to write (in purely conventional language) of the ‘grant of the status as righteous’. (70) But he thinks that ‘righteous’ here is a judicial state, whereas for the Reformers the righteousness imputed is an implanted – Wright havers on this - virtue. For Wright, for some strange reason, a reason which he never overtly identifies, discusses or explains, the term ‘moral’ cannot imply merely a standard of righteousness (as in ‘the moral law’ or ‘a moral issue’), but the subjective, personal possession of a set of qualities or ‘virtues’. This is what he objects to what he takes to be the Reformed view, the counting or reckoning or imputing to a person of such a subjective moral state. He seems to think that the Reformed view is that the believer has Christ’s righteousness in the way in which it may be said that I have your toothache. And, Wright believes , such a thing involves a ‘category mistake’. You and I can have the same (sort of) toothache, but it is impossible for me to have the very toothache that is your tooth ache. But this logical impossibility is not, and never was, the Reformed view. The imputation of righteousness never was the imputation of Christ’s righteousness in the sense that his very subjective righteousness is transferred to me. That is utter confusion! (How could there be such an imputation? How could a person have reckoned to her the very subjective state that is Christ’s righteousness or virtue? And who ever said such a thing?) Wright diligently uses Paul as a source, but where are his sources in the history of doctrine for making such an allegation? Has he researched the point? Could he provide us with chapter and verse? Does not Bishop Wright not know this how off-centre (‘crazy’ would be a more accurate word) his views about the Reformed view are? Does he not know that as a matter of bare, clear fact, this is not the Reformed view? Does he not realise that he is, to put the matter colloquially, making it up, spinning it out of thin air? To repeat. According to Wright the Reformed view is that a person is morally righteous to a degree only if he is subjectively righteous to that degree. Christ may give Peter his sandals, or some fish, but he cannot transfer to Peter the very character that he has, any more than he can give to Peter the pain that he suffered. Similarly a person’s act of sinning cannot become Christ’s act of sinning. Therefore, since (as is obvious) the moral character of one person can no more be imparted or transferred to another than can his feeling of pain, no one can come to possess the very moral condition that is Christ’s moral righteousness, nor can Christ come to possess the very condition that is a person’s act of sinning. It can’t be done. Such a state cannot be his very own moral state. To propose such a view is not simply as Wright puts it, a ‘category mistake’, it is utterly incoherent. It is this piece of apparent confusion in Wright’s mind over what constitutes imputed righteousness in the classic Reformed view that is the reason why, (apparently), the ‘Augustinian tradition’ which famously included subjective renewal as part of justification, continued to dominate the Reformation despite its clear view of justification as a forensic act. That’s why (according to Wright) the Reformation has not in its doctrine of imputed righteousness thrown off Augustinianism, since it still thinks of justification in terms of receiving the merit of another, and receiving the merit of another must mean (Wright appears to think) receiving a moral state, a moral (in his sense) change, merit from the treasury of merit, the imparting of moral virtue, a change that is – impossibly – he thinks – imputed to the believer. But this is deeply and crucially factually inaccurate. 47. ‘Here we meet, not for the last time, the confusion that arises inevitably when we try to think of the judge transferring, by imputation or any other way, his own attributes to the defender’. 60, ‘Ever since the time of Augustine, the discussions about what has been called ‘justification’ have borne a tangled, but only tangential relation to what Paul was talking about’. 153-4 ‘There has grown up ‘in the Western church a long tradition of (a) reading God’s righteousness’ as justitia Dei, then (b) trying to interpret that phrase with the various meanings of justitia available at the time, and (c) interpreting that in turn within the categories of theological investigation of the time (especially to make ‘justification’ cover the entire sweep of soteriology from grace to glory). 167, ‘A doctrine that has attempted to construct the entire soteriological jigsaw on the basis of a medieval view of ”justice”’. 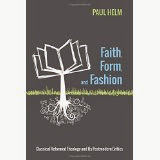 170 ‘The problem with the “old perspective” on Paul is that it has followed the medieval tradition (to which it was never more thoroughly indebted than when reacting to some of its particulars)….it has de-Judaized Paul’. 71 ‘But “righteousness”, within the very precise language of the courtroom which Paul is clearly evoking, most obviously in Romans 3, is not “moral righteousness’’’. 114 ‘But this does not mean that he has ‘fulfilled the law’ in the sense of obeying it perfectly and thus building up a “treasury of merit” which can then be “reckoned” to his people. This scheme, for all its venerable antecedents in my own tradition as well as John Piper’s, always was an attempt to say something which Paul was saying, but in language and concepts which had still not shaken off the old idea that the law was, after all, given as a ladder of good works up which one might climb to impress God with one’s own accomplishments’. 187 ‘The idea that what sinners need is for someone else’s ‘righteousness’ to be credited to their account simply muddles up the categories, importing with huge irony into the equation the idea that the same tradition worked so hard to eliminate, namely the suggestion that, after all ‘righteousness’ here means ‘moral virtue’, ‘the merit acquired from law keeping’, or something like that. We don’t have any of that, said the Reformers, so we have to have someone else’s credited to us, and ‘justification’ can’t mean ‘being made righteous’, as though God first pumps a little bit of moral virtue into us, and then generously regards the part as standing for the whole’……..’Imputed righteousness’ is a Reformation answer to a medieval question, in the medieval terms that were themselves part of the problem. Wright believes that in the matter of justification there is one dominant Augustinian tradition much of which the Reformers uncritically assumed. In particular, they assumed that what is imputed is moral virtue, God’s own attributes, and that such imputation is received by faith. So when he considers the Reformed view, he thinks of it in a distinctly medieval way, as involving both (what was later called) justification and sanctification, but principally involving the idea that sanctification is justification, because justification involves acquiring righteousness, moral virtue, the judge’s attributes. Wright thinks that all this Augustinian, medieval, Reformation nonsense, (as he judges it), this ‘legalism’, can be avoided by thinking of Pauline justification in negative terms. Next time, in the last post, we’ll show two things. First, that whatever the history of the matter, Wright’s own view of ‘reckoning’ as not imputing sin, also commits him to ‘legalism’. If what we all have to do is to escape the baleful influence of Augustinian medievalism, then Tom Wright himself has still to break free. And second, that he has utterly misunderstood what ‘the imputation of Christ’s righteousness’ means. Were he to come to understand it as it is, then his fears about it would be at an end. And then I shall try to sum up. Most of these charges are ill-defined, and some of them cancel each other out. As we noted in Chapter Two, the federal theology of later Calvinism, championed as a movement away from rationalism to a more biblical, historically-oriented theological method, was in fact sympathetic to Cartesianism, at the same time that Cartesianism was being excoriated by high Calvinists such as Voetsius. So on the not unreasonable test of sympathy for Descartes, the allegedly non-rationalist federal theologians were rationalistically inclined, while those accused of being rationalists, the high Calvinists, were not. Other charges of rationalism are clearly at odds with the facts; with the fact, for example, that some of the divines who stand accused of aridity reveal themselves as masters of experiential divinity. But this is sufficient for them then to stand accused of another set of charges - introspectionism, legalism, preparationism, and much else. Other scholars on the Reformed theology of this period, without using the term 'scholastic', have claimed to discern sharp discontinuity, and even a theological reaction, between the theology - particularly the soteriology - of Calvin and the Westminster divines. This is not the place to address all these charges as they are leveled against to Puritanism and the Westminster Confession of Faith. The charges as they relate to Reformed theology more generally are in any case now being given a fair assessment in the literature. What I shall endeavour to do is to consider such charges as they relate to one prominent Chapter in the Westminster Confession of Faith, Chapter Five, 'Of Providence'. I shall evaluate the charge of scholasticism and rationalism by a review of this Westminster document and the writing of John Arrowsmith, one of the Westminster Divines, on the same theme. The Confession's treatment of divine providence follows on from the Chapters on God, God's eternal decree and his work as Creator. So there is a logical, natural order: each of the Chapters II-V presupposes the material of the immediately earlier Chapter. But it does not follow from this that each Chapter is deduced from the earlier material. The framers of the Confession sought to ground each of their assertions in the text of Scripture, while recognising that in our thought about these matters there is a logical order. One cannot sensibly consider the decree of God without first establishing the existence of God, and his work of creation and providence is the unfolding of his decree. So if 'scholasticism' means 'deduction from an axiom asserting the eternal decree of God' the Chapter on providence in the Confession is emphatically not a piece of scholastic theology. But is the Chapter scholastic in some other sense which reveals its degeneracy from primitive Calvinism? We shall attempt to answer this question by first briefly summarising what the Chapter on providence asserts. To begin with, it maintains the theocentric teaching of the earlier chapters. Providence is an expression of the Creatorship of God; the Lord governs his creation to the praise of his glory. All events, whether they are instances of laws of nature ('necessarily'), or of human choices ('freely'), or of unforeseen happenings ('contingently'), or miracles, and including the Fall itself, are in the direct control of God. So the Confession asserts that providence is all-encompassing and particular; nothing escapes, nor ever has or can; divine providence is both macroscopic and microscopic in its scope. The wording of the Confession is emphatic on this point, for having stated that God 'doth uphold, direct, dispose and govern all creatures, actions and things, from the greatest even to the least', it proceeds to stress that this control, even where it extends to the 'first fall, and all other sins of angels and men' is not a bare permission, 'but such as hath joined with it a most wise and powerful bounding, and otherwise ordering and governing of them'. So God governs every minute particular of his creation, even the sins of men and angels, without himself being tainted by sin or approving of it. At the same time the wording of the Chapter strongly affirms the responsibility and culpability of the wicked. The sinfulness of sin 'proceedeth only from the creature, and not from God’ . The concluding paragraphs (V-VII) make three practical applications of the doctrine set forth. The first asserts that the providence of God is not at odds with the fact that at times the children of God suffer. In his wisdom God by his providence may order suffering in order to chastise, to humble them, to increase their dependence on him and to make them more watchful. Similarly God hardens 'wicked and ungodly men' by withholding grace and withdrawing gifts from them. Finally, and by way of summary, the Confession asserts (VII) that while the providence of God extends to all, he takes particular care of his church, for whom all things are made to work together for their good. – a theme common to both Aquinas and Calvin, as we have seen. Far from presenting the doctrine of providence in an arid or a merely academic way, the divines strive to relate it to the practicalities of Christian life and experience. So far we have seen that the treatment of providence cannot fairly be accused of scholasticism in that it is not deductive, nor is it dry and theoretical in temper. There is a further noteworthy feature of this Chapter which marks it off from certain kinds of scholasticism in theology. At no point in their treatment of providence do the divines offer a theory of divine providence; an account of how it can be that God can remain pure while ordaining the minutest particulars of evil actions, or of how men and women remain responsible for their actions even though all their actions are governed by divine providence. Why is this? I suggest that it is because, in their concise summaries of Christian doctrine, they wished to adhere as closely as possible to Scripture. And because they could find no theory of providence in Scripture, no statement of how it is that God is both the governor or all things good and evil and yet remains untainted, and evil men are still responsible for those sins which God in his providence ordains, they did not offer a theory as part of the Church's public confession of faith. In this respect the Chapter on providence may be said to be resolutely a posteriori in intent. The divines do not approach providence in an a priori fashion, imposing a set of ideas on the raw data of Scripture, but by a process of induction they attempt to formulate such a doctrine from the canonical documents, going as far as, but no farther than they judge those documents warrant. Look round the world: Contemplate the whole and every part of it: You will find it to be nothing but one great machine, subdivided into an infinite number of lesser machines, which again admit of subdivisions, to a degree beyond what human senses and faculties can trace and explain. All these various machines, and even their most minute parts, are adjusted to each other with an accuracy, which ravishes into admiration all men, who have ever contemplated them. There is no appeal to what is reasonable, to clear and distinct ideas, to natural light, or to what may be judged to be probable on the basis of human experience alone. Rather, in a way which no doubt some may regard as tedious and hide-bound, because the compilers of the Confession seek to ground their assertions about divine providence on the assertions of Holy Scripture, they give prominence to the 'unsearchable wisdom' of God. Thus, in asserting that God orders all things to fall out according to the natures of second causes, either necessarily, freely, or contingently, the authors of the Confession cite Gen. 8. 22 and Jer. 31. 35 as proof of God's ordering of necessary secondary causes; Exod.21.13, Deut 19 .5 and l Kings 20.34 as his ordering of contingent secondary causes; and Isa. 9.6,7 as his ordering of free secondary causes. It is at this point in the Chapter on Providence that the only concession that is made in the direction of theorising about divine providence, namely the use of the distinction between primary and secondary causes, is introduced. As we have just noted, according to the Confession God 'ordereth them (viz. all things) to fall out according to the nature of second causes, either necessarily, freely, or contingently'. In this way the Confession asserts that natural events and human actions are the secondary causes of what they bring to pass, while it implies (though it does not assert) that God is the primary cause. Is the use of the distinction between primary and secondary causes an evidence of scholasticism? Perhaps it is. Certainly the medieval scholastics used it. But if it is evidence of scholasticism then John Calvin is also a scholastic, since he also uses the distinction in his elucidation of the doctrine of providence. The authors were men of learning and philosophic grasp; but above all of piety. Their interest was not in speculative construction, but in the protection of their flocks from deadly error. It results from the very nature of the case, therefore, that it is a religious document which they have given us. And the nicety of its balance in conceiving and the precision of its language in stating truth, will seem to us scholastic only in proportion as our religious life is less developed than theirs. There is little by way of rhetorical flourish. Issues are stated - or rather understated - in a calm and concise way. In this sense - but in this sense only - can the Confession, including its chapter on providence, be regarded as 'scholastic'. But it is precisely as used in this sense that 'scholastic' is presentational rather than theologically substantive. Additional collateral evidence for the claim that there is no substantive theological difference between the Westminster Confession of Faith's teaching on providence and the earlier teaching of John Calvin, none, at least, due to the malign influence of 'scholasticism', can be obtained in a less direct fashion. John Arrowsmith (1602-1659) was a leading Westminster divine, a member of the Cambridge Puritan establishment, and a friend of Antony Tuckney, whom we met in Chapter Three. While Master of St. John's College, Cambridge, (he was later to be Master of Trinity College, Cambridge and also Regius Professor of Divinity) he began to write a systematic theology designed in the form of thirty aphorisms with corresponding exercitations. Only six aphorisms and sets of exercitations were finished at his death. The work was posthumously published in 1659 as Armilla Catechetica. A Chain of Principles. His A Chain of Principles contains a treatment of divine providence. Unlike either Calvin or the Confession, Arrowsmith starts from the fact that human life is a mixture of prosperity and adversity, and draws some lessons from this; for example, that God allows such a mixture to magnify his goodness, and to be known to be the Sovereign Lord of all persons and things, and draws practical lessons for the life of faith in typically Puritan fashion. Then, in the last Aphorism of the work, he proceeds to discuss providence in a more formal way. 'Providence extends it self, not onely to all created beings, and to all humane affairs, especially those that concern the Church: but even to the sins of Angels and men'. As we have seen, this is essentially the same teaching as Calvin's and the Confession's. Arrowsmith proceeds to 'demonstrate' these claims, this demonstration consisting of the provision of scriptural proofs. For example, the proposition that divine providence extends itself to all created beings is demonstrated from Nehemiah 9.6. and a number of other texts. He then proceeds in a similar fashion to demonstrate the truth of the proposition that divine providence extends to all human affairs, distinguishing between Economical, Civil, Military, Moral and Ecclesiastical affairs. These are treated in turn in the same way, scriptural proofs being provided for each. In Exercitation 2, God's providential care over the church is given the same treatment. The third Exercitation concerns God's concurrence with sinful actions. 'Divine providence is an actour even in sin it self. I shall single out hardness of heart, a sin common to all sorts of men, though in different degrees….' Partial hardness may occur in the elect, total hardness in the reprobate; in each degree of hardness 'the providence of God is an actor'. Arrowsmith goes into some detail as to how this can be. Among the ways he mentions are that God hardens hearts by 'privation', and by denying his blessing, by permitting evil ('Although he frequently permit it, yet we must say he is not altogether willing to have it, however willing to suffer it'). There is undoubtedly some development here, and in a way in which perhaps Calvin himself would not have altogether welcomed. For Calvin did not favour the use of Augustine's idea of evil as a privation. Yet Arrowsmith relies on that idea in his account of providence and evil. 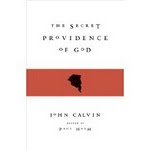 There is also a tendency to offer explanations of how it can be that God' s providence extends to evil, a tendency that we saw was absent in both the Confession and in Calvin. For even where Calvin appears to intend to tell us how God's impulse comes to pass in men (as in Inst. I. 18.2) he does so not by using a metaphysical idea such as the privative nature of evil, but simply by reaffirming the Scriptural teaching (as Calvin understood it), that God works inwardly in men's minds. Yet the significance of this use of the Augustinian idea of evil as a privation (a development, or degeneracy, as you prefer), ought not to be exaggerated. In going into further, and perhaps questionable, detail as to how it is possible for the providence of God to encompass the evil actions of men, Arrowsmith is explicitly endorsing the doctrine both of Calvin and of the Confession. By his use of the idea of evil as a privation he could be said to be offering a gloss on V. III of the Confession, or on Book I Chapter 18 of the Institutes. What he is making use of here is not the scholasticism of natural theology, nor is he attempting to make deductions from the divine decree treated in axiomatic fashion, nor is he attempting a rationalistic reconstruction of this tenet of the faith, but he is nevertheless endeavouring by this distinction to gain further understanding of what he already firmly believes, very much in the tradition of ‘faith seeking understanding’. So Matthew Parris, in a Saturday Times article (‘Why I’m opposed to legalising assisted suicide’, 1st August 2009). In the piece he argues against legalised assisted suicide but not against assisted suicide as such. What he is against is a ‘creep towards the state regulation of death’ and I must say that I certainly agree with that. Do Not Resuscitate cards are about the limit. But what caught my eye was the expression of his libertarian view of the politics of one’s own life. Who may exercise authority over my own life? Not the state, certainly; not you, except to help me if I ask you to and you agree. For it is I, me, who am the sovereign over my own life. And for Parris, an atheist and something of a Lucretian, (‘death is nothing to me’) this means the right to exercise sovereignty not over some phase of my life, but over my life, period. ‘The possibility of suicide is what makes life voluntary and each new day an act of will. No wonder the faith community gnash their teeth at suicide. God Himself, if He existed, would gnash His teeth at suicide: the supreme act of defiance, the final raspberry’. It’s this attitude, and the argument itself, that interests me, not Parris’s jejune theology. (What’s childish is the idea that God cannot have brought to pass what has already been done, so to speak. I can end my life so God cannot end it; my life has been ended by my decision so its ending cannot have been God’s decision too. God regularly uses what is against his will to serve his will. Does he receive another raspberry when someone is suddenly knocked down and killed by a speeding joy-rider?). Parris’s attitude is surely self-deceiving. What he is saying is that the freedom to end one’s life whenever one wants is also the freedom to keep it. The deep thrill I get every morning comes from reflecting upon the fact that, before sundown, I could have chosen to end my life, but that if I decide not to make that choice then I shall safely arrive at the end of the day, to be presented with the same choice when tomorrow dawns. ‘The knowledge that I’m here by choice’. That I’m here by choice seems plainly false; false, even, that I’m here by my parents’ choice, though they most certainly had a hand in the matter. ‘That every breath I take I take by choice’. Even allowing for a modicum of journalistic hyperbole, this also seems rather over the top. To start with, we may be able to let go whenever we want, but surely the relevant question is, can we want to let go when we have the opportunity to do so? Could there ever be a reason for me to want to stop breathing? Maybe so. But that prospect is not something that that we are capable of reviewing at a distance, or even regularly (once a month, say, or once a year). We may be able to will a choice, physically able, with no one or no thing holding us back. But can we always, or once a week or once a month, indefinitely, want what we could will if we wanted it? Maybe I shall be driven by extremity to want what I can will. But the dawn of the day when I am driven to it will not be one on which I reflect on the transcendent joy of the fact that I possess such a power, the power to turn off my own light. The realisation that (as Parris puts it) I am no longer useful and life is no longer fun will hardly be trumped by the transcendentally joyous realisation that I can flip the switch. That sort of talk is for the op ed page. It may be joyous, on a summer’s morning now, but I wager it won’t be joyous once it becomes a live option. And the second question is, Am I free to keep my life? As a political conservative, Parris already knows the answers to this question. He knows that life is full of contingencies, of unintended consequences, of unforeseen calamities, human weaknesses, corruptibility and corruption. That’s part of what makes him the political animal that he is, distrustful of the plans and the policies of the state any more than is strictly necessary, simply because the state can no more see into the future than he can. We can no more plan our lives than the state can plan the future of its people. That’s a good reason not to trust the state or to extend its power over death, or over life. So it is strange to find him writing of 'The knowledge that I’m here by choice'. The reasons for nor trusting the state more than is strictly necessary, Parris believes, are a part of the human condition. They offer themselves universally, and so they provide an equally good reason for not trusting ourselves. Our lives are not in our hands. We do not know what a day may bring. And so this is also a reason to go easy on the hubris. Realising this, we just might be tempted to take the initiative, simply to affirm the contrary point, that I'm master of my own fate. But that won’t be a joyous thing to do, either. So, neither free to keep my life, nor free to end it; not at least free in any sense that is transcendently joyous. To say otherwise, and to mean it, is to be seriously self-deceived.